Imagine a lion and a buffalo fighting with all their strength in the bank of a waterhole, herds of elephants strolling through an endless grass plain, or a giant male gorilla staring into your eyes as if he is indeed acknowledging your existence. A safari in Africa is not just a trip but an experience of a lifetime. 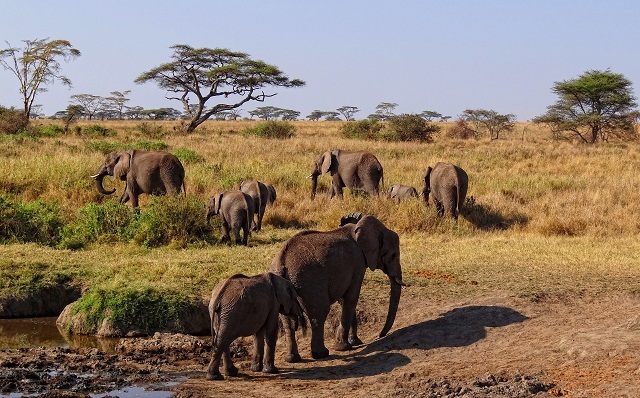 While national parks in Tanzania are often famous, here we list some of the best national parks in Africa, all guaranteeing an excellent safari experience. Kenya’s finest national park, Maasai Mara National Reserve is home to an amazing concentration of wildlife, with popular predators like lions, leopards, and cheetahs found in abundance. The major attraction of this place though is the annual great migration of over 3 million animals, including over 2 million wildebeest, 350,000 zebra, and thousands of various types of gazelle. 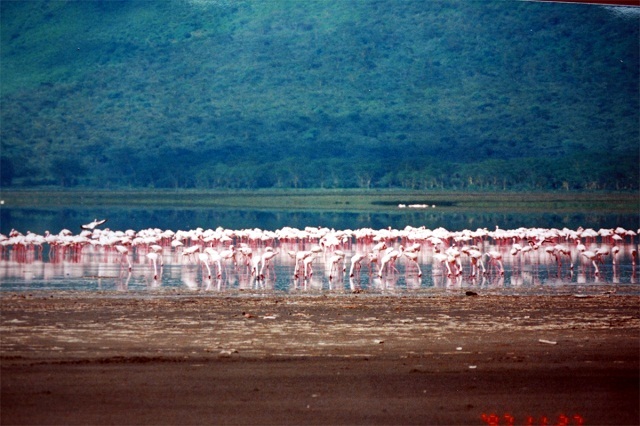 Lake Nakuru National Park hosts Lake Nakuru, a part of the Great Rift Valley Lake System. The lake is full of alkaline water and it attracts thousands of birds, especially flamingos, in search of a special kind of algae that grows in the lake. Along with flamingos, Lake Nakuru National Park is home to 450 bird species, many of which are easily spotted, which is why this place is called a birdwatcher’s paradise. Ngorongoro Conservation Area is famous for being home to the stunning Ngorongoro Crater, the world’s largest volcanic caldera formed about two million years ago. The Ngorongoro Crater has the most natural wildlife setting in the world because it has not been disturbed by human settlement, largely because it is surrounded by the 610 metres (2,000 feet) high crater walls. Voted as one of the Seven Natural Wonders of Africa, the Ngorongoro Crater is arguably the best place for game viewing in Africa. 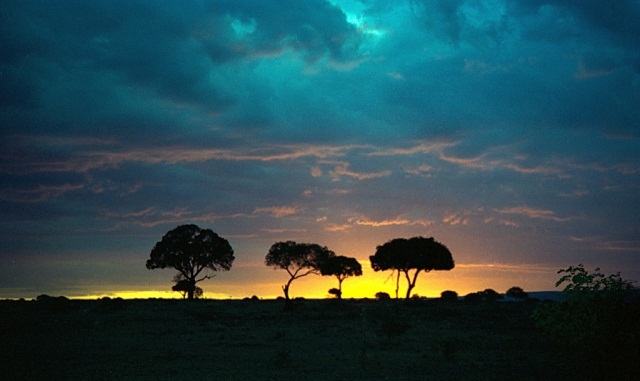 Serengeti National Park is one of the most famous safari destinations in Africa. Along with its vast area and a huge concentration of wildlife, this national park is also one of the hosts to the Great Migration, an annual event where more than 3 million animals migrate from North to South in search of grassland and water. Kruger National Park is Africa’s oldest established national park. With good paved roads, a range of accommodation options available, and wheelchair accessibility in most of the lodges, this is also the best maintained park in all of Africa. Despite the accessibility to the national park, the wilderness of the place is not lost and you can still enjoy great game drives. 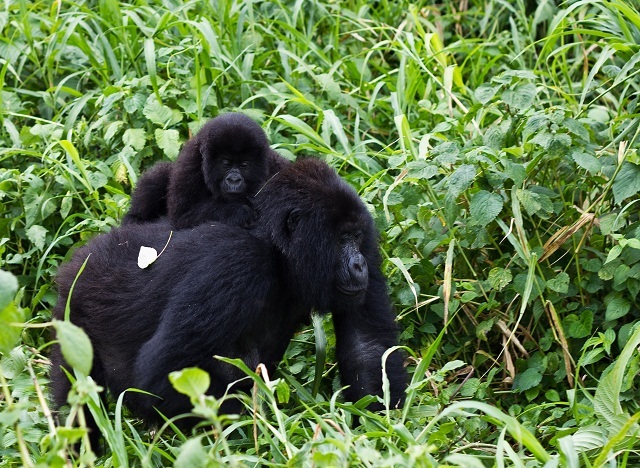 Home to half of the world’s population of the endangered mountain gorillas, Bwindi Impenetrable National Park gives you a unique experience to watch the mountain gorillas up close. The Duba Plains is one of the Okavango Delta’s most remote camps. It is known for the clashes between buffaloes and lions during the day which is unusual because lions generally hunt during the night. If you are interested to see lions in action, this is the best place to visit in Africa. The Zambezi valley is host to Victoria Falls and Lake Kariba. With Zambezi river flowing through the park, this is one of the best places for canoe safari. The lower Zambezi also includes a World Heritage Site at Mana Pools. A salt pan covers a large area of Etosha National Park, and it appears to be barren most of the time, but is home to more than 110 mammal species and 340 bird species. Spotting wildlife is very easy in this place since most of the animals gather up at the waterholes. You may get a chance to see not just one or two but hundreds of animals at once. 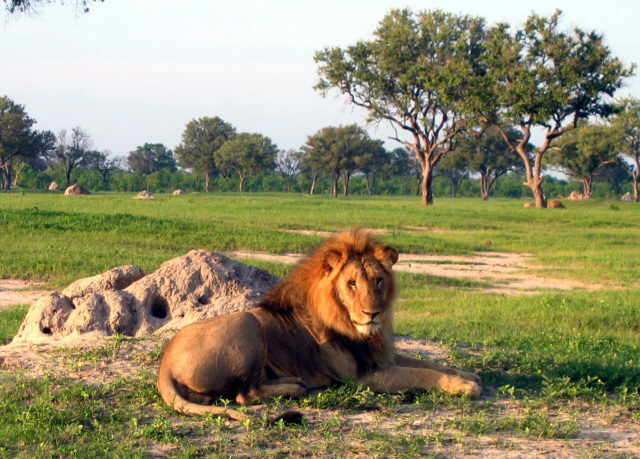 Hwange National Park is the largest game reserve in Zimbabwe, and hosts over 100 mammal and 400 bird species. With accommodations available in three large camps over the area, a trip to Hwange National Park guarantees an excellent safari experience. If you’re into wildlife, nature, and the sheer rawness of Africa, a safari in Africa is highly recommended, particularly if you’re visiting one of the above mentioned national parks. A trip to the local zoo will never get close to the real thrill and ecstatic feeling it is to see a wild lion or leopard in its natural habitat, Africa.